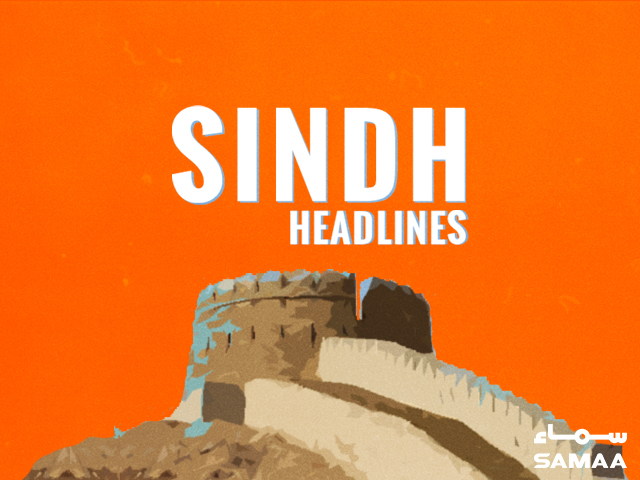 Samaa Digital brings to you the major headlines from newspapers across Sindh. A good number of residents in Sukkur city protested at Shikarpur road against the lack for basic facilities in the city including water and sanitation. The protestors chanted slogans against the ruling PPP, saying that the party has not delivered on its promises. Sunita Parmar, the first Hindu woman contesting election from Sindh’s Tharparkar district, announced that she would join Pak Sarzameen Party. She is contesting the general election as an independent candidate from PS-56 (Islamkot). Sindh National Party workers in different cities of Sindh protested the ‘enforced disappearance’ of their party chief Amir Bhanbhro. They said the national party leader was picked up by Rangers from his Karachi residence. “Bhanbhro was disappeared for raising his voice for Sindh,” said SNP General Secretary Dr. Asghar Dahiri. Spokesperson of the anti-PPP Grand Democratic Alliance has said that the coalition would eliminate Pakistan People’s Party in the general elections. He accused the party’s leaders of minting money by selling fake posting orders of government jobs in the past. Awami Rabta Tehreek’s two-day token hunger strike against controversial Kalabagh dam ended in Thatta. A large number of people from different walks of life denounced the proposed revival of the water project.